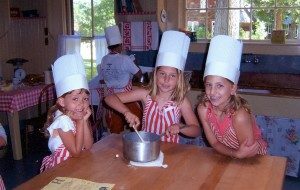 This interactive program gives children ages 6-12 the chance to learn about baking and the busy atmosphere of our early 20th Century kitchen. They bake 1920’s recipes from scratch and when finished, enjoy their accomplishment or take home to family members to share their experience! Advanced reservations are recommended for this program.